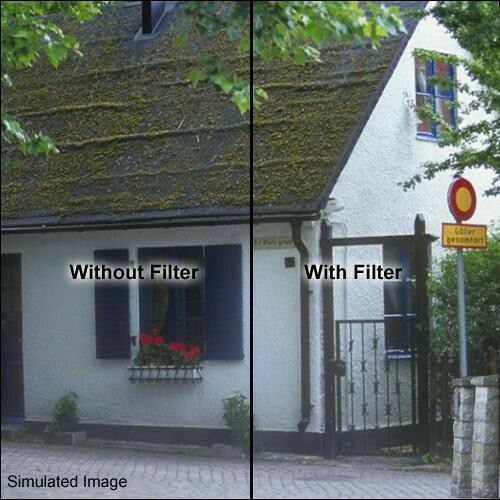 The Formatt 4 x 4" 85C Filter will produce natural colors when shooting with tungsten film outdoors. An 85C produces the coolest results of the 85 series - more than either the 85 or 85B. However, it is interesting to remember that an 85C is also useful as a creative warming filter with daylight film in daylight.